KJIPUKTUK (Halifax) -- The situation appears strike-bound for the 61 unionized members of the Halifax Typographical Union (HTU) at the Chronicle Herald, where today, according to an HTU press release, management at the Herald rejected a number of concessions. An immediate five per cent wage cut across the board and no wage increases for the next two years. A 25 per cent reduction in starting salaries for new reporters and photographers. Placing a cap on severance. Reducing the mileage rate by 17 per cent. The move allows Herald management to avoid a 'lockout' of employees, offering them the opportunity to work under a rejected contracted. 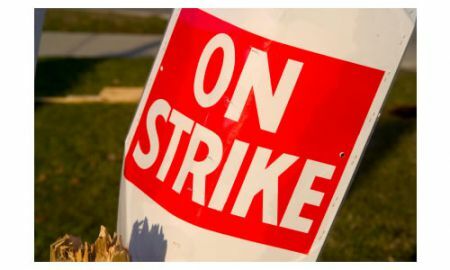 In response, the HTU has filed a 48 hour strike notice. Interestingly, the HTU press release goes on to note that the unionized member of the HTU intend on starting up a new website, called 'Local Xpress', where, theoretically, journalists on strike at the Herald will continue to practice their craft of journalism.